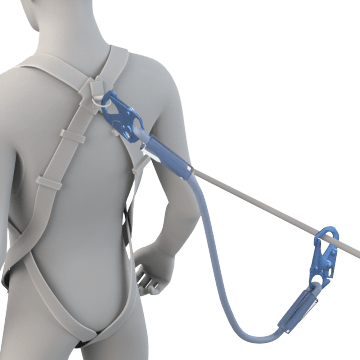 Attach positioning and restraint lanyards to side D-rings on a harness or belt and an anchor point on a structure so you can work with both hands free without having to hold onto the structure to maintain balance or stay in position. Positioning and restraint lanyards are not a replacement for fall-arrest rope or other lifelines. 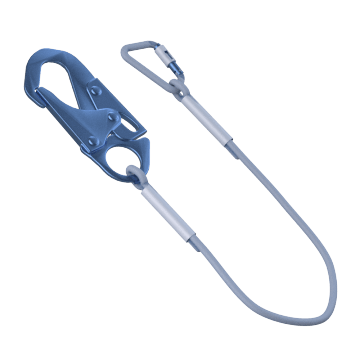 Limit workers' range of motion or keep them properly positioned while they work using these fixed-length lanyards. 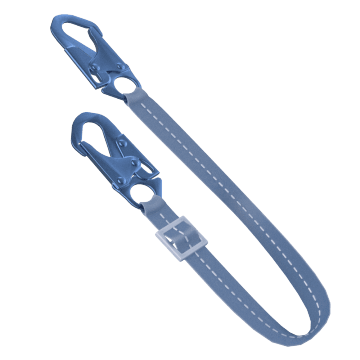 You can adjust the length of these lanyards to provide a limited range of motion for working or attaching the lanyard to a structure. Quickly attach the large snap hook on these lanyards to rebar to keep yourself properly positioned as you work. 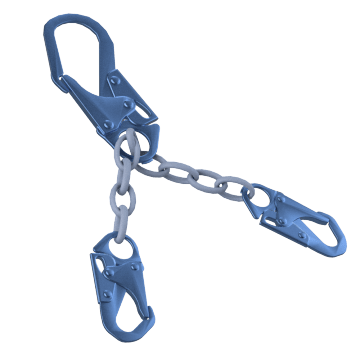 Ideal for construction applications, the lanyard has two smaller hooks that attach to side D-rings on a fall protection harness.